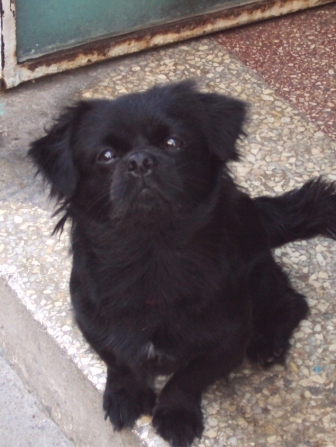 You can’t walk anywhere in Havana without stumbling across the dogs of Havana! For the most part, the owners keep a close eye on their pets, which tend to hang out in the windows or doorways. 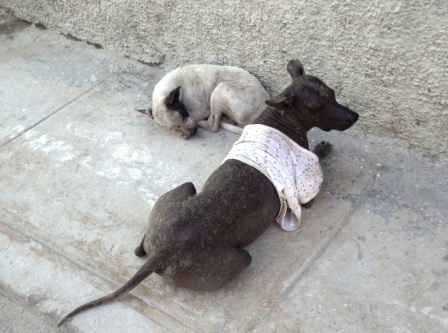 There are plenty of stray dogs in the streets as well. Cubans love their dogs. They feed them the family's leftover food scraps. 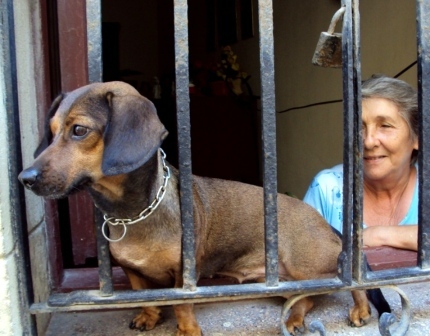 This pet dachshund displays herself in the window so passersby can give her an admiring glance or touch. This little guy seemed to beg me to say hello. 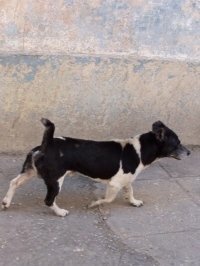 Most dogs in Cuba are on the small side and could be described as a Heinz 57 variety. Here (right) is an excellent example of a boldly mixed breed. No doubt he contains elements of many of the above dogs but I could not ask him as he was merrily making his way through Central Havana to an undisclosed rendezvous. 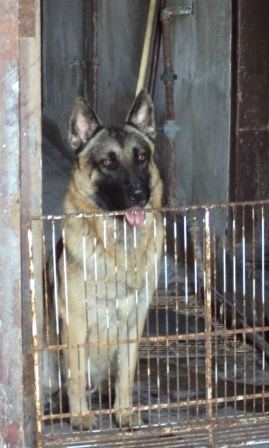 It has recently become popular to own a large purebred dog in Havana. 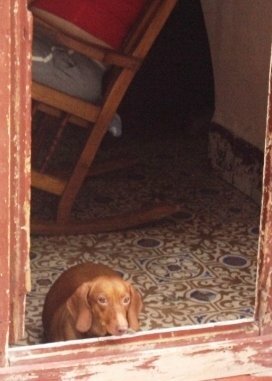 This pet was guarding her family’s door while the owner rocked her child in the background. Like most Cuban dogs, she was extremely friendly. A child's recycled t-shirt keeps this dog warm in February.